Giving Tuesday is a global initiative to give thanks and give back on December 1st, 2015! Participate in #GivingTuesday by making a donation, every little bit counts, and tell your friends about it on your social media networks. We are excited to be a part of this initiative and thank you in advance for being a champion for the most vulnerable in our community! Share the video with your friends, family, neighbors, and tell them why you support Shepherd’s Table with an #unselfie. Make a donation or become a monthly donor TODAY, and help us earn matching funds from Network For Good! 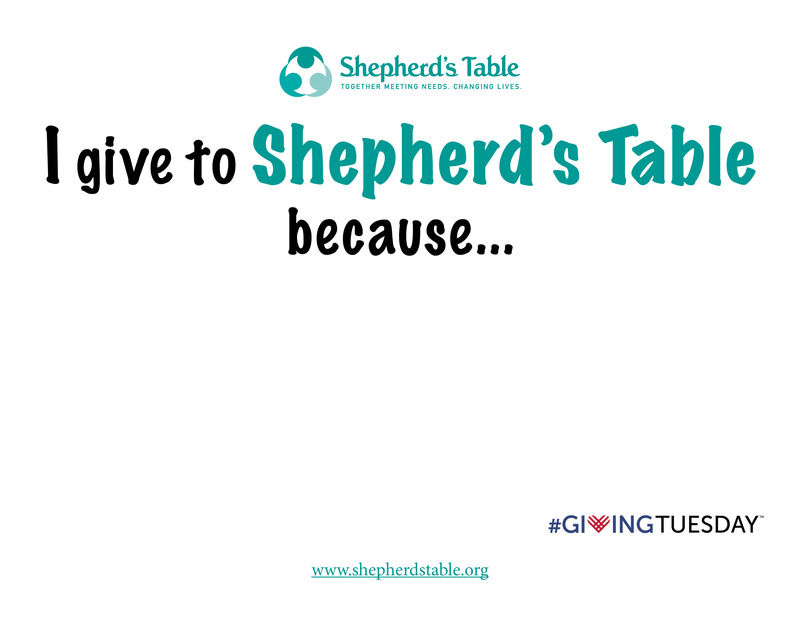 Also, share your motivation to give to Shepherd’s Table with all your friends. Download the ST Unselfie, write your message of support, take a picture, and share it with all your friends on Facebook! Shepherd’s Table has been providing services for people experiencing homelessness in Silver Spring since 1983, and we will continue to be here with your support as long as our services are required. In late 2016, we will be moving into a new building, where we will provide 3 meals a day and increase our impact for our community’s most vulnerable. Thank you for your ongoing support throughout the years, we are very grateful for the community’s assistance in our time of need. If you’re new to us, welcome to the family!